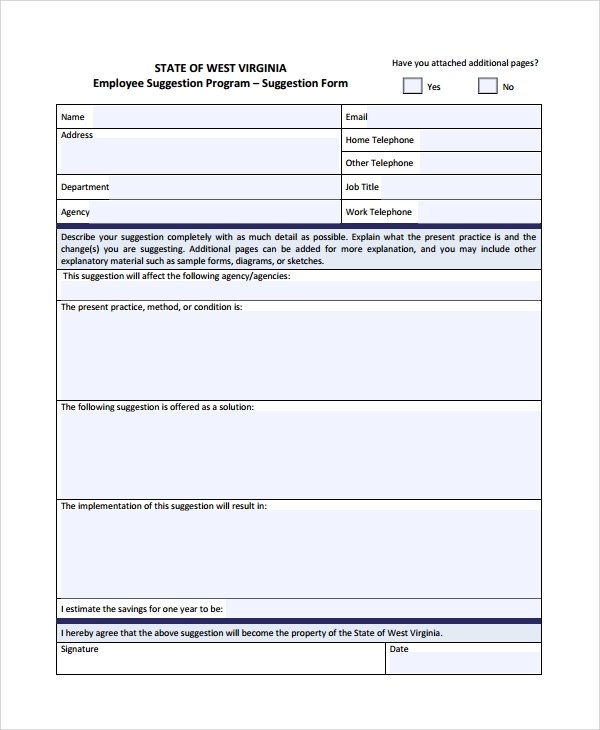 The free suggestion form that you get from employee form template banks online is one of the simple and basic structures of employee review form that you may use in any domain, in any office. The general approach is to help you use it in a flexible way to chart your suggestions and present it to your office. 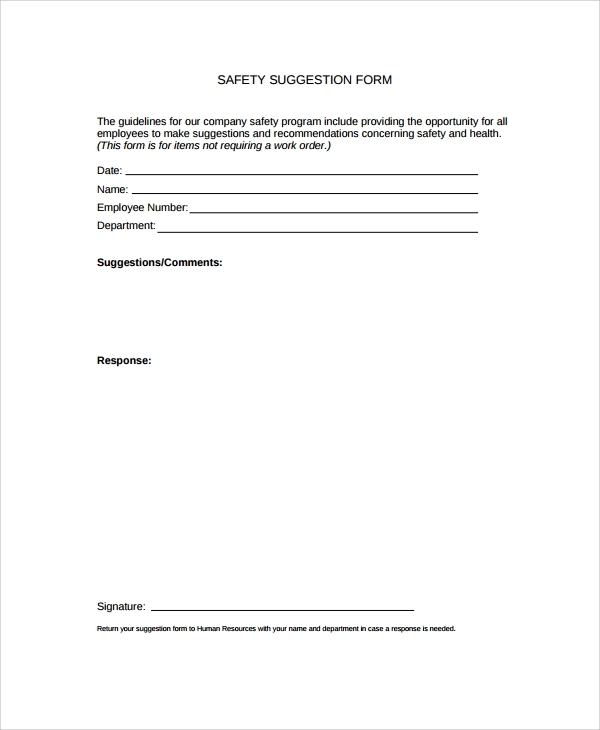 The employee safety suggestion form is the one that employees may use to tell organization about their feedback regarding employee safety, and they may also use this for revealing their opinions. Organizations must give their employees an appropriate format to give their feedback. The sample is what you often need to follow to understand a format or fill up a form. 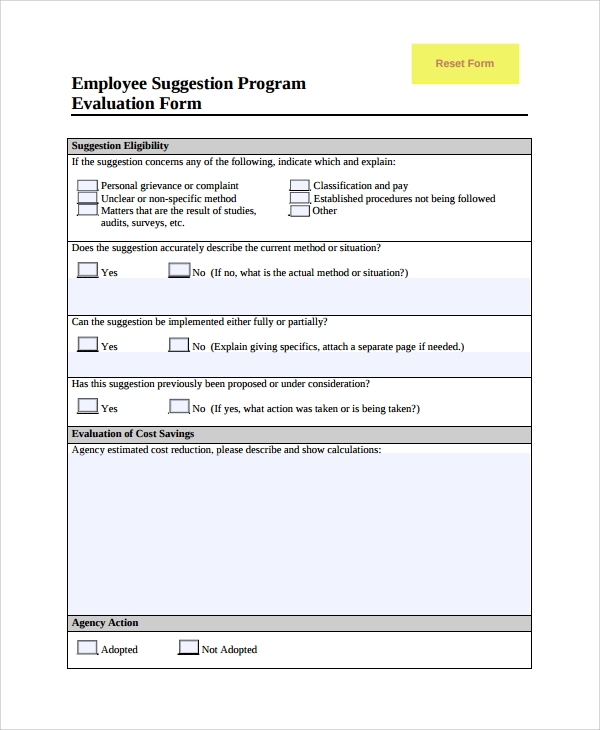 Here the employee suggestion form sample you get gives you a direction to read and fill up the employee suggestion program as shown in the sample. 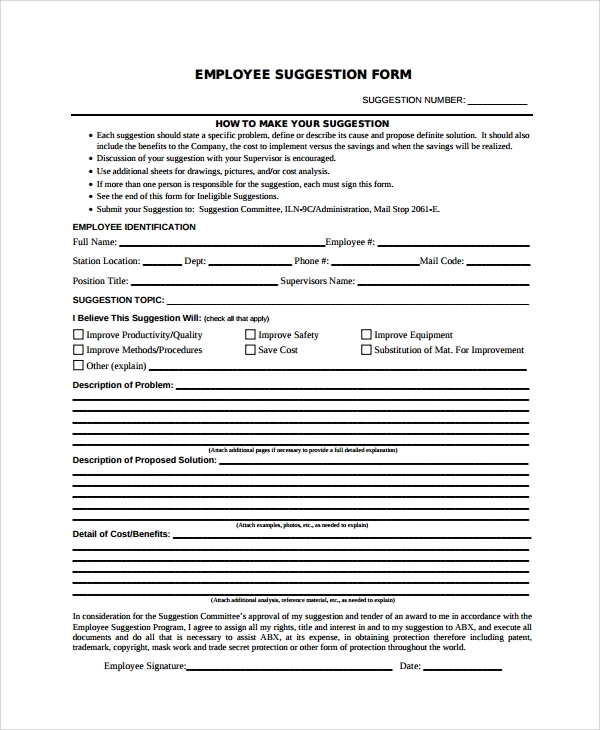 What are Employee Suggestion Forms? 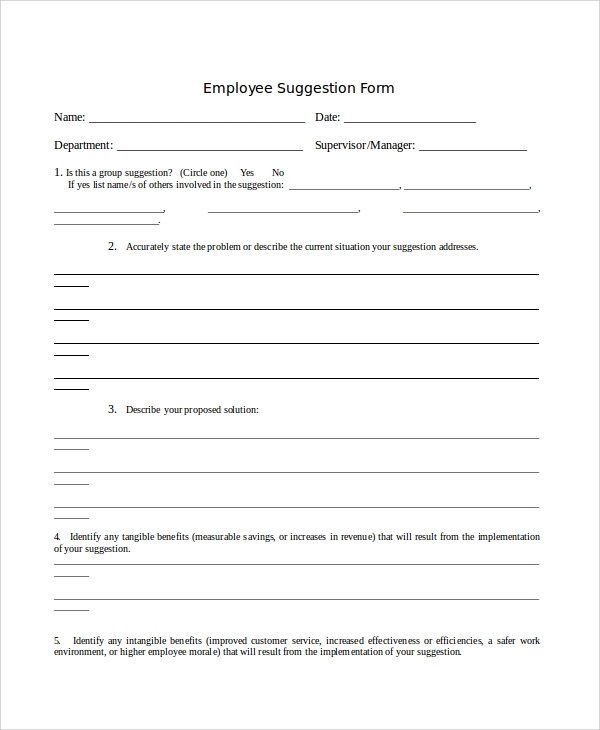 What is the Importance of Employee Suggestion Forms? 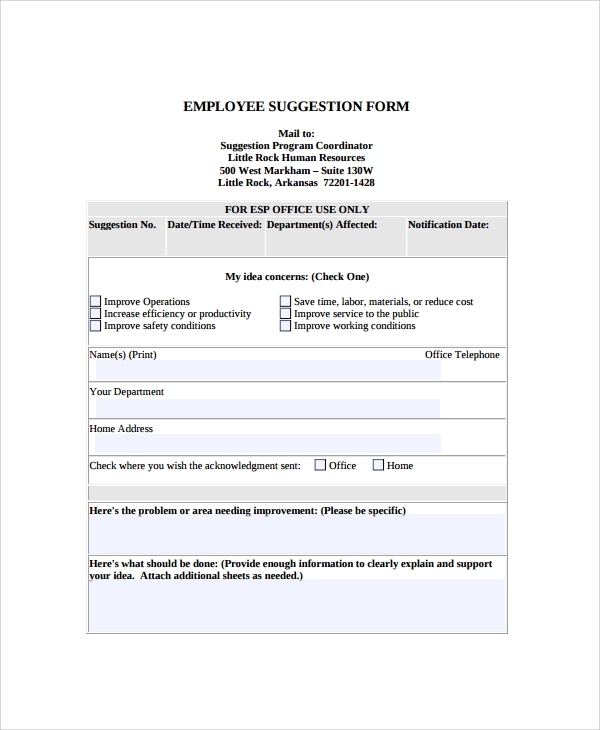 The importance of the employee review form is in giving the employees a voice to speak and submit it in the suggestion box. It’s mainly the employees who make an office, and without their work and participation, it won’t be possible to build the work environment. Hence, the periodic survey of employee opinions is a must. 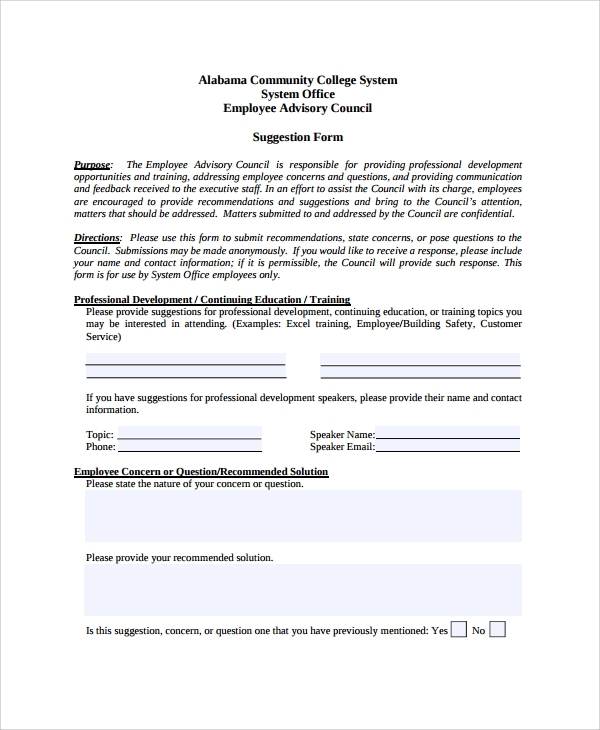 Therefore, to make sure that you are running the organization successfully, you must give the employees the form to fill and submit. Another great side of getting these forms online is that you never have to worry about making a form yourself. You simply go online and download one. 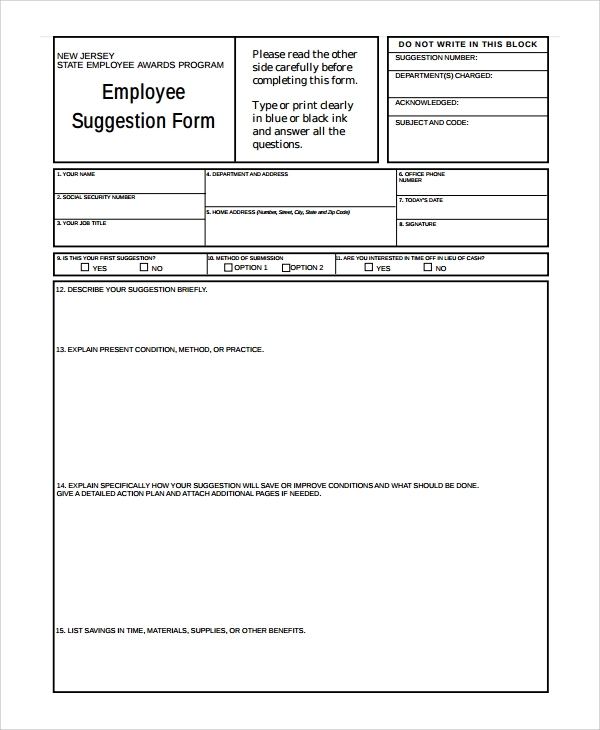 One of the reasons you would love to get the employee suggestions forms is that it saves you from the rigorous effort of making a form on your own. This is one such form or format, which will always let you take effective feedbacks from your employees and organize things in office for the betterments.